Area : 4228 sq. km. 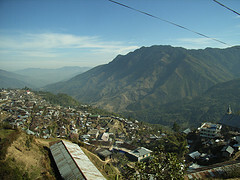 It is located at a distance 269 km from Kohima via Wokha and Mokokchung and 235 km via Zunheboto. It is connected by state Highways. Nagaland state transport buses ply on this route. These tribes have a rich cultural heritage and their dresses are very colourful. Their dances and songs are heart warming. This area is known for its handicrafts and handlooms products. Pungro: The Circle headquarter is only 36 km from Kiphire. From here it takes 2-days of trekking to reach Saramati Peak, a part of which falls in Mynmar. Longtrok: Six stones–is located at Chungliyimti 57 km from Tuensang. This spot also offers a beautiful view of the town on hilltops scattered over the distant horizon. 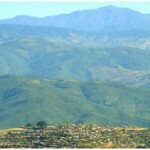 Kiphire: It is situated at an altitude 896.42 mts. above sea level at a distance 254 km from Kohima. It is the home of Sangtams, Yimchungers and Semas. There is a highest peak Saramati 3841 mts. above sea level situated in this division. It remains snowcapped throughout the winter. This entry was posted in Nagaland, Tuensang and tagged Kiphire, Longtrok, Pungro. Bookmark the permalink.